We have heard about “powerful framed computer” but can we think of a laptop which can work like a super powerful framed computer? 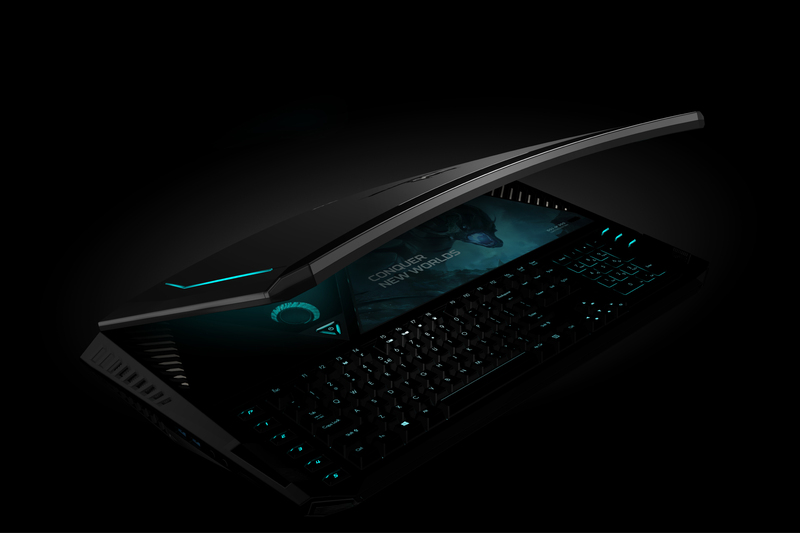 Yes, it can ACER PREDATOR 21 has proved it. It is said to be one of the heaviest and powerful laptops, and it’s a limited edition. Since it is limited, only 300 laptops have been released in the market by ACER. Price per laptop is $8999 (Rs 6,13500 INR). Packaging – it comes in a heavy BOX with unique accessories. It’s packing weapon comes in an exclusive gear box which consists of TRACK-BALL (Number Pad), 2 big size A.C. adaptors, WASD Keys comfortable keyboard with beautiful color and design. Its recessing position is good for fingers to access keys comfortably. On the other side of the TRACK-BALL, there’s a number plate which is portable or shiftable. If you want to change its default position, you can quickly shift it according to your comfort zone. The outside look and style of the laptop is very classy, elegant and durable. There is no flax material used to produce this laptop. One of the most attracting features of this classy laptop is the SCREEN. This SCREEN is made in such a CURVED way that it gives a special effect to gamers while playing games. Its color, brightness, contrasts and resolution is perfect for any sort of games. Its SCREEN refresh rate is 120 Hz which helps to play games with higher resolutions and graphic needs. The laptop is very easy to open, and all the parts are easily removable. Its internal storage is quite large so that there is no requirement of any other storage disks separately. In fact, to provide good support for gaming, they give two adaptors of 330 WATTS each for long time gamers who like to play games for a long time. These adaptors prevent the laptop from getting much heat and if the temperature increases then it has a unique inbuilt fan which cools down the machine without much time. It’s loud effective sound system made it special amongst all other laptop brands comparing all the flagship devices available in this marketplace.